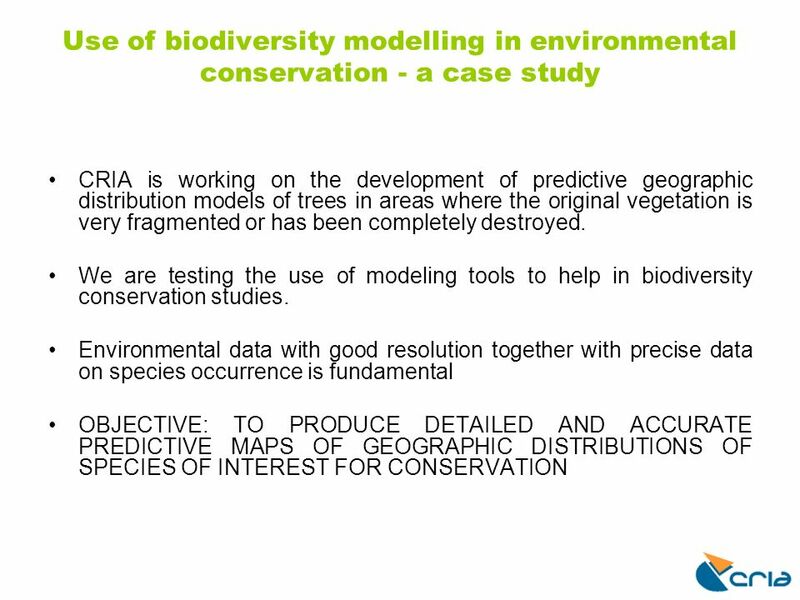 Use of biodiversity modelling in environmental conservation - a case study Marinez Ferreira de Siqueira Giselda Durigan Mauro Muñoz Fabrício Pavarin A. 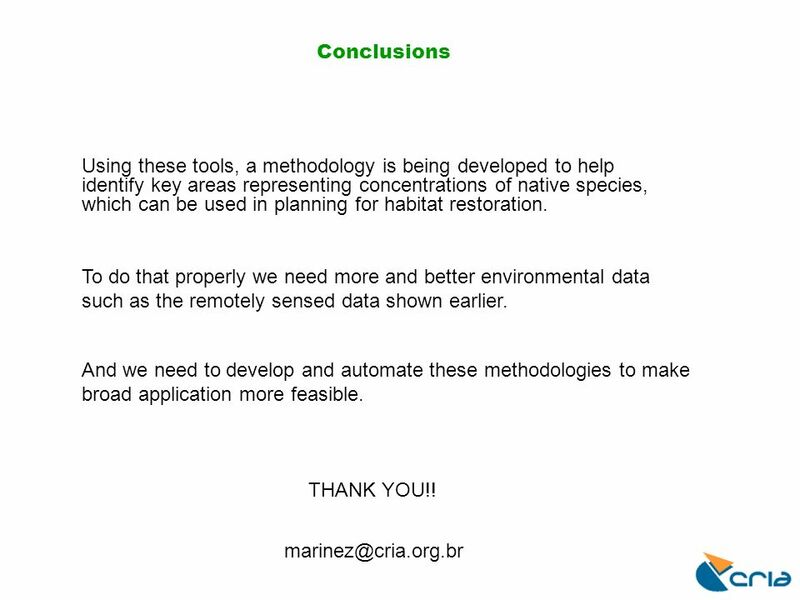 12 Conclusions And we need to develop and automate these methodologies to make broad application more feasible. 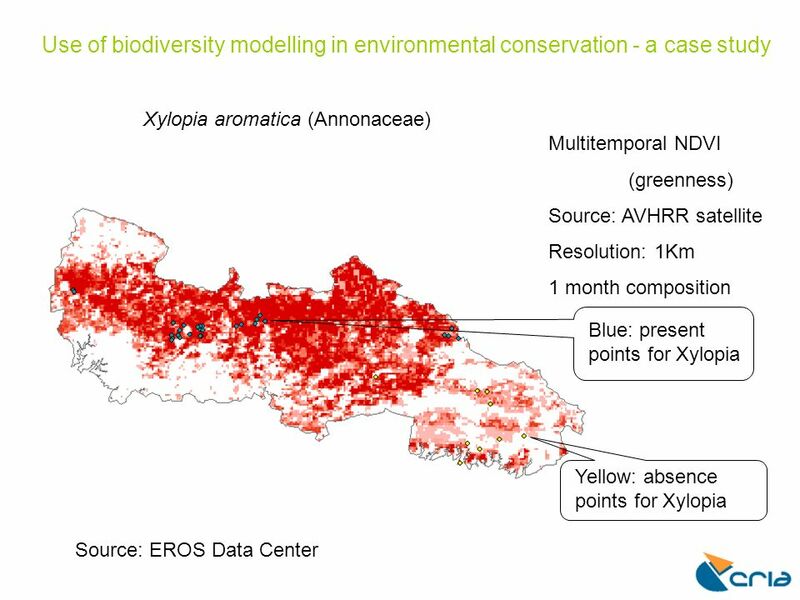 To do that properly we need more and better environmental data such as the remotely sensed data shown earlier. 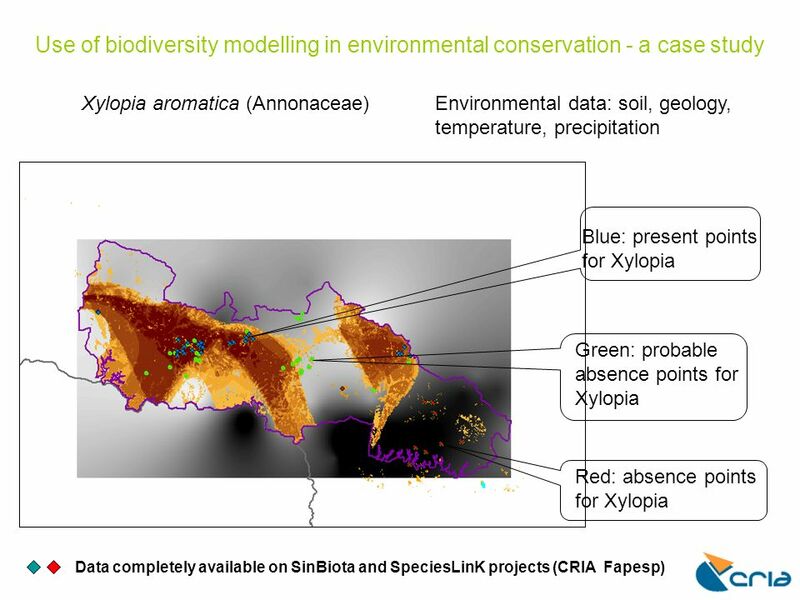 Using these tools, a methodology is being developed to help identify key areas representing concentrations of native species, which can be used in planning for habitat restoration. marinez@cria.org.br THANK YOU!! 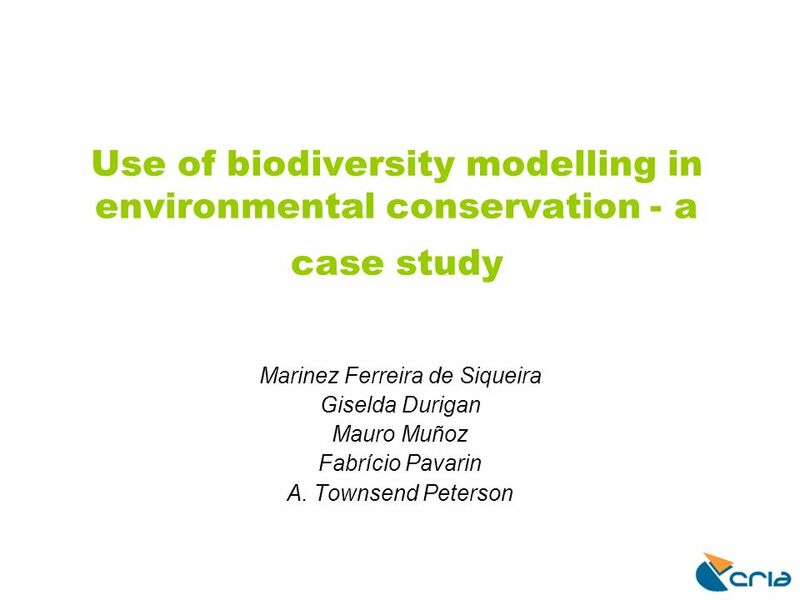 Download ppt "Use of biodiversity modelling in environmental conservation - a case study Marinez Ferreira de Siqueira Giselda Durigan Mauro Muñoz Fabrício Pavarin A." 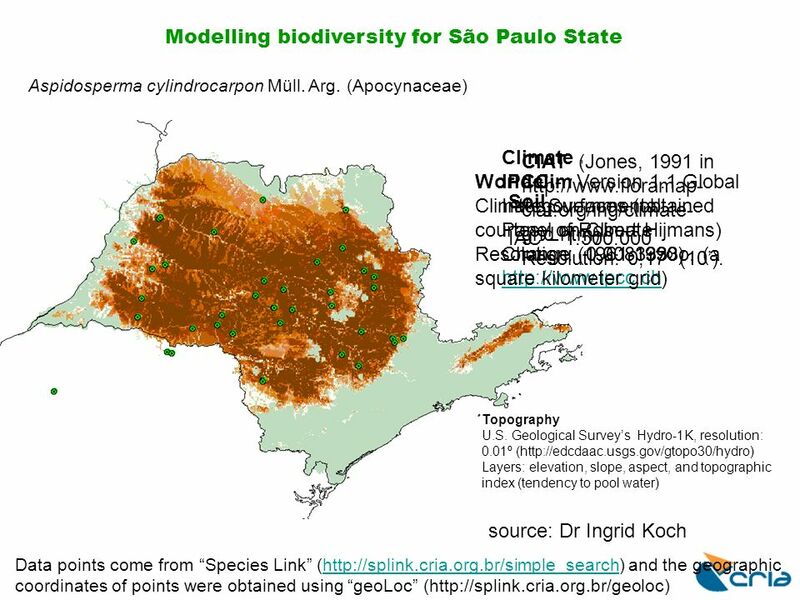 SpeciesLink The Brazilian experience on setting up a network Renato De Giovanni Centro de Referência em Informação Ambiental, CrIA. TDWG- Lisbon Oct 2003 Data Cleaning Tools and Methodologies Arthur D. Chapman Australia / Brazil Centro de Referência em Informação Ambiental. 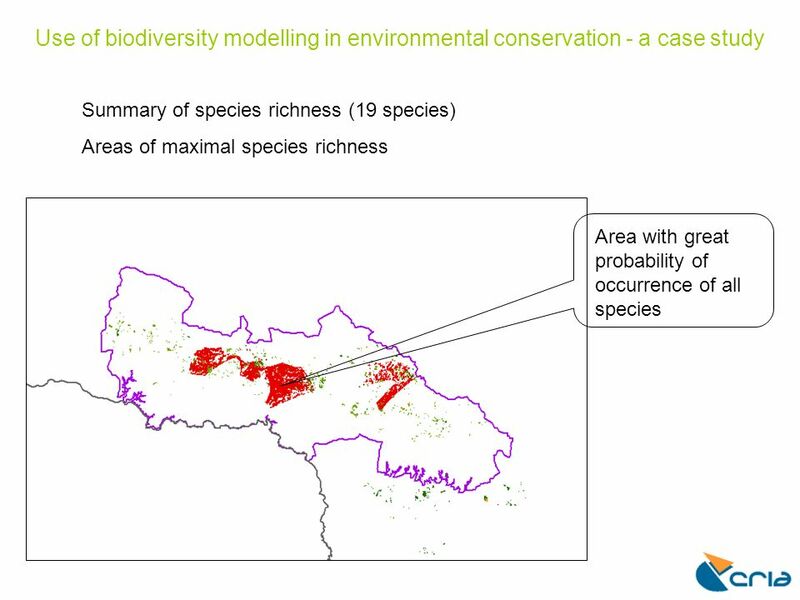 Applications of LIDAR Data in the McPherson Watershed, Fort Bragg, North Carolina Beth M. Wrege and Michelle Cienek. Presenter Chris Zganjar Spatial Data Analyses Chris Zganjar, Barry Baker, Earl Saxon Multivariate Cluster Analyses Bill Hargrove, Forrest Hoffman Special. 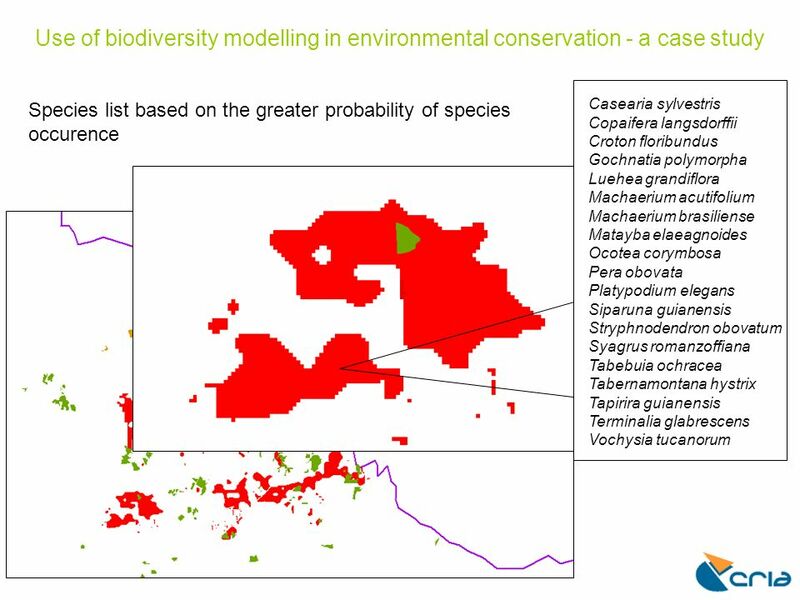 WP3 Biomapping results to date WP3: NRM, CDF, CEFAS, DINARA, WCS Additional input: WP1, AquaMaps workgroup. REVIEW OF CURRENT AGROMETEOROLOGICAL APPLICATIONS AND FUTURE POTENTIAL IN URUGUAY AND FUTURE POTENTIAL IN URUGUAY (MSc) Mario Bidegain Dirección Nacional. 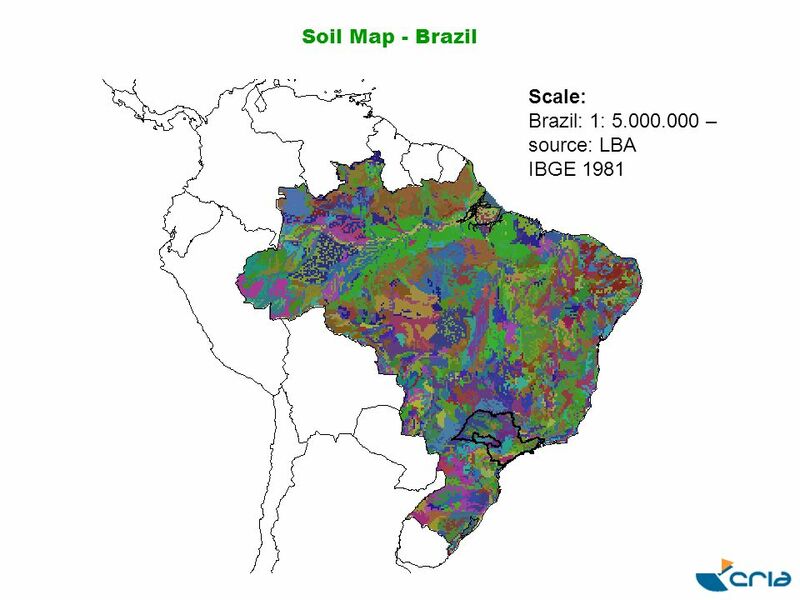 AVHRR Data for Monitoring Drought, Environment and Socioeconomic Activities Felix Kogan NOAA/NESDIS Office of Satellite Research and Applications. Niger-HYCOS USGS Charlie Frye, Mapping Center Team. 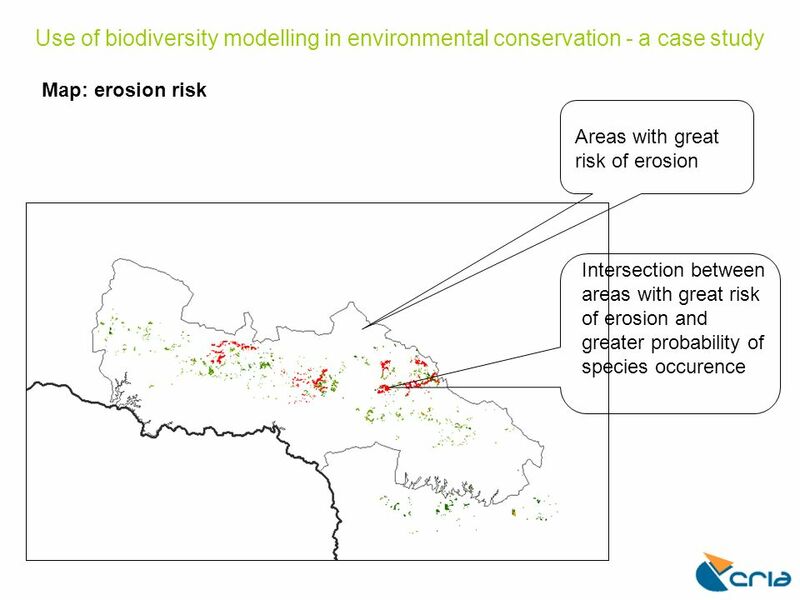 Step 1: Valley Segment Classification Our first step will be to assign environmental parameters to stream valley segments using a series of GIS tools developed. 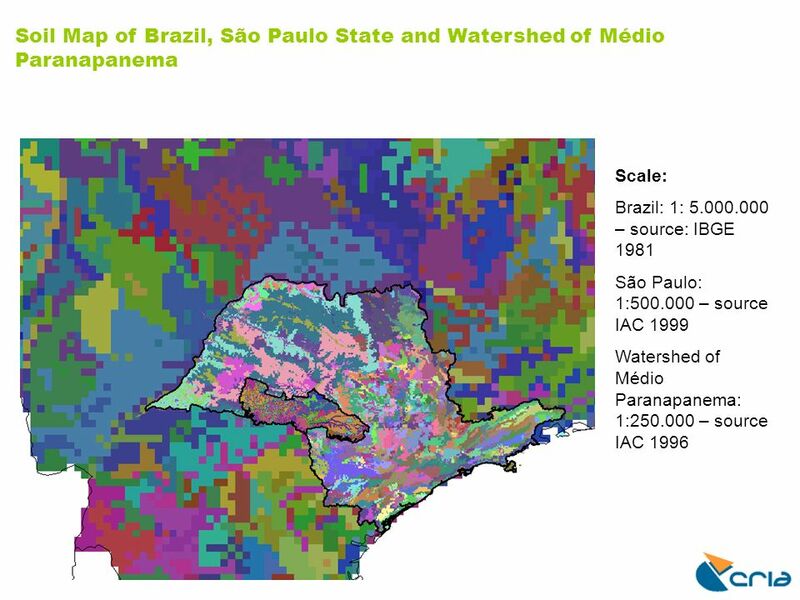 Interactions of Land Use and Global Environmental Change on Watershed-scale Processes Lars Pierce, Fred Watson, Melinda Mulitsch, Wendi Newman, Adrian. Development of Remote Sensing-based Predictive Models for the Management of Taste and Odor Events in Kansas Reservoirs Dr. Mark Jakubauskas Kansas Biological. Best Model Dylan Loudon. Linear Regression Results Erin Alvey. Topographic Maps. 1.This is what you call the vertical distance between the contour lines. 2.These connect points of equal elevation. 3.Gently sloping. 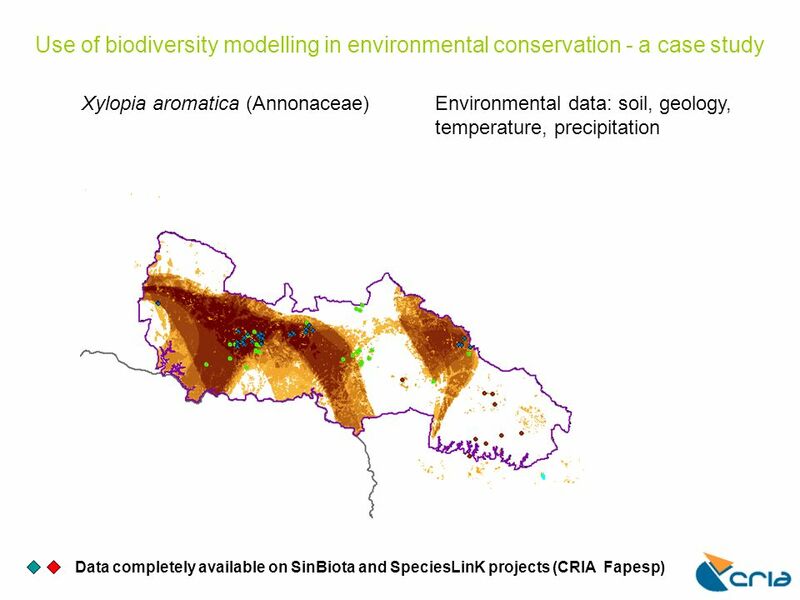 Down-scaling climate data for microclimate models and forecasts Securing the Conservation of biodiversity across Administrative Levels and spatial, temporal.